In what can be called an important milestone in India-Sri Lanka bilateral relations, Indian Prime Minister Narendra Modi along with his Sri Lankan counterpart Ranil Wickremesinghe launched the island-wide expansion of the 1990 Suwaseriya Emergency Ambulance Service in Jaffna. PM Modi joined the inauguration ceremony via video conferencing. Speaking to the audience, PM Modi expressed happiness that his wish to expand the ambulance service in Sri Lanka is now fulfilled. Quoting Mahatma Gandhi’s famous message, PM Modi said he has the same message for Sri Lanka even now. “The message that I can leave for Jaffna as for the whole of Ceylon is: let it not be ‘out of sight, out of mind’,” he said. Promising that India will be one of the first responders to Sri Lanka in good and bad times added that the two countries enjoy a close relationship and India sees Sri Lanka as a trusted partner in the South Asian Indian Ocean family. 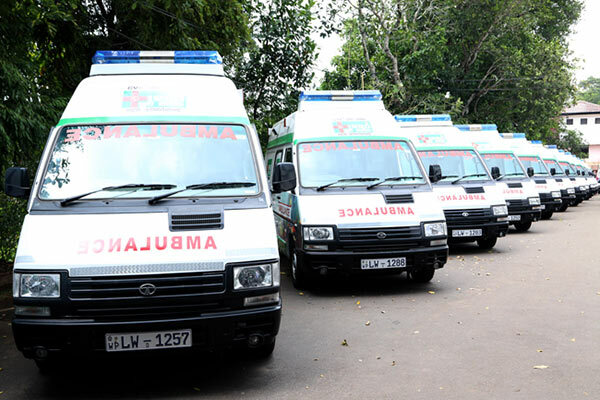 As per the scheme, 209 ambulances will be launched in Sri Lanka with a fund of $15.02 million contributed by India. At present 88 Ambulances have been inaugurated in south and east Sri Lanka and in the future more ambulances will be launched. Modi also stated that that this new service will provide local employment in Sri Lanka. He said that the ambulance service will also add to the skill-set. The event saw several senior ministers and other dignitaries from Sri Lanka along with the High Commissioner of India to Sri Lanka, Taranjit Singh Sandhu. Speaking on the occasion, Sri Lankan Prime Minister Ranil Wickremesinghe emphasised on the importance of the ambulance service and its contribution in strengthening the bilateral relationships between the two nations. After their respective speeches, the two prime ministers together flagged Off two ambulance services. Ranil Wickremesinghe also congratulated PM Modi on winning the trust vote in Parliament. PM Modi also announced that more such schemes will be proposed when the two leaders meet in India next month.